Mönchengladbach - After 18 years at the club, Borussia Mönchengladbach goalkeeper Marc-Andre ter Stegen is now officially set to leave the Foals after FC Barcelona announced his impending arrival on Monday. The La Liga runners-up, in need of a new No1, confirmed the signing of the promising German shot-stopper on the same day as the appointment of Luis Enrique as first-team coach, but contract details have not yet been made public. Though his current deal was due to run out in the summer of 2015, the 22-year-old, a cornerstone of the team's development under Lucien Favre, making 125 appearances in all competitions since debuting in 2011, expressed his desire to seek out a new challenge during the winter break. 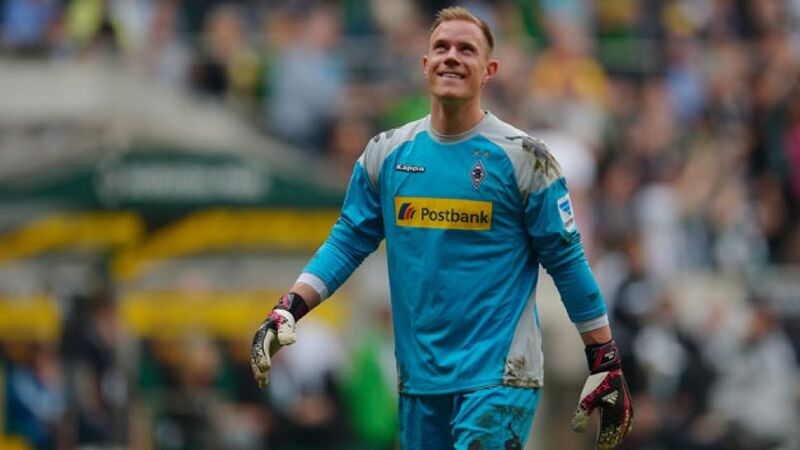 Ter Stegen bid farewell to the Borussia Park faithful with tears in his eyes on Matchday 33 and even got on the score sheet in his last official game, breaking the deadlock from the spot in a 4-3 friendly win over SV Bergisch Gladbach on Saturday. “I’ve spent 18 years playing for this club. Even though I know that after this summer things will go on for Borussia and me, it’s a strange feeling because I already know I’m going to miss Borussia greatly,” he said emotionally. “On the other hand I am, of course, really looking forward to my new challenge.” Ter Stegen is set to become the second German keeper after Robert Enke (2002-2004) to don the Catalan colours.